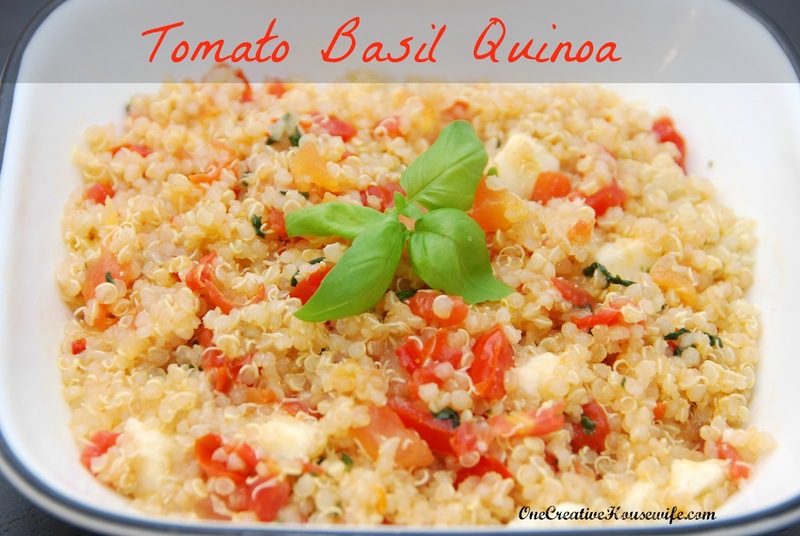 I have been on a quinoa kick lately, so it was just a matter of time before I mixed it with my two favorite things; tomato, and basil. I just love the smell and taste of fresh basil, it soothes my soul. This dish can be served warm or cold. It is a great side to a meal, but can be served on its own as well. 1. Cook your quinoa; according to package directions, and set aside. 2. Heat the olive oil in a large pan, over medium heat. 3. Add the chopped onion, and cook until translucent. 4. Add the tomato to the onion and cook, stirring frequently until the tomato is soft. 5. Add the basil and cook for 1-3 minutes, stirring frequently. 6. Stir the quinoa into the tomato mixture. 7. Remove from heat, and stir in the mozzarella cheese.